New York, NY – (September 24, 2018): United Thinkers, a New-York based commercial open-source Payment Management Software provider has launched a white-label payment facilitator program as a flexible and easy solution for businesses that consider becoming payment facilitators, but are unready to assume all PayFac-specific responsibilities all at once. Having successfully implemented a white-label payment gateway program in partnership with some of the major licensees of UniPay Payment Gateway, its flagship product, United Thinkers, decided to launch a white-label payment facilitator program. White-label PayFac program is primarily targeted at software platforms that want to become payment facilitators; it allows them to provide all “classical” PayFac-specific services and gain control over the processes, related to merchant life-cycle, without actually becoming full-fledged payment facilitators. All the services, such as payment processing, remittance, and others, can be performed under the platform’s brand by the UniPay Gateway white-label platform, owned by another PayFac (or PSP). While for some businesses, white-label payment facilitator program may be a long-term solution, others might rely on it as an intermediate step on the way to becoming full-fledged payment facilitators. In the case of UniPay Gateway, transition from white-label to classical PayFac model can be performed relatively easily. 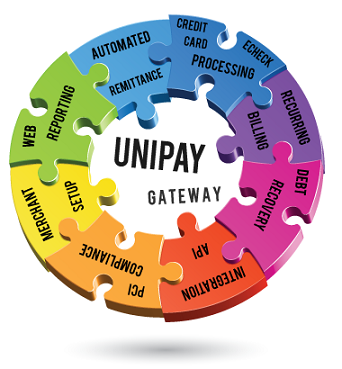 If you have become a white-label payment facilitator through a hosted instance of UniPay Gateway platform, you always have an opportunity to acquire on-premise source code license and take all the process in-house (effectively becoming a true PayFac). Thus, you will be able to install the UniPay Gateway instance in-house and migrate all your customers to the licensed copy of the platform. Press Release: United Thinkers launches a white-label facilitator program allowing businesses to benefit from all advanced PayFac-specific services and optimize their existing cost structure. Can My Business Become A Payment Facilitator?